Atkin’s Court Forms is a unique encyclopaedia of forms and precedents of pleadings covering more than 130 practice areas. It provides practitioners with an unrivalled collection of the main procedural documents needed in every civil proceeding before the courts and judicial tribunals of England and Wales. Atkin’s titles contain expert commentary from leading solicitors, barristers, academics and members of the judiciary, to guide you through general and specialist court procedures, and help you manage litigation services. More than 12,000 forms and precedents of pleadings, drafted in a clear, modern style, take you through all stages of proceedings from pre-action to post-judgement. Procedural tables act as handy checklists for experienced practitioners, while step-by-step guides provide extra detail and guidance. Fully annotated and cross referenced, Atkin’s forms and precedents help with case management, accelerate drafting, and assist in the smooth operation of the court process. Atkin’s is updated throughout the year in response to changes in practice and the law – so you know you always have the latest information at your fingertips. 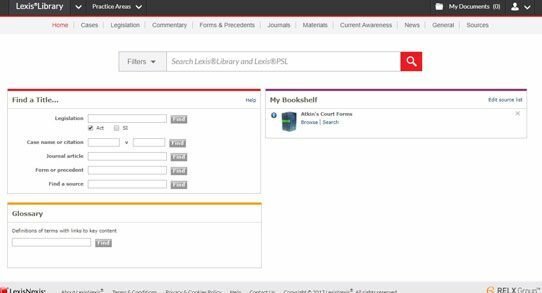 Online access to Atkin’s Court Forms is via Lexis®Library, allowing you to leverage its powerful search engine and find what you’re looking for quickly and easily. No other provider can offer you access to Atkin’s Court Forms – only LexisNexis. We’ve been a trusted player in the legal business for almost 200 years now, and serve customers in over 175 countries. 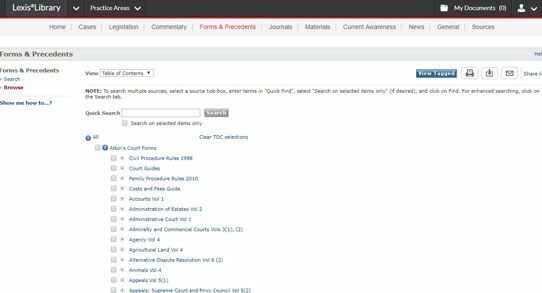 Download fillable court and tribunal forms for easy completion with Atkin’s Court Forms. Salutation Please select... Mr. Ms. Mrs. Dr. Prof.